Discolored water from your tap is a result of sediment in the pipes becoming agitated and fine particles that travel in the water. This is unavoidable. Ground water naturally contains minerals which can interact with plumbing and create sediment in the plumbing. The Grafton Water District treats the water using the Department of Environment (DEP) guidelines to ensure it is safe to use. The water is tested monthly for bacteria at 17 sites throughout the system. Lead and copper testing is done at 20 sites every three years. Other tests are done for volatile organic compounds (VOCs), nitrates, nitrites, metals, inorganic compounds, radon and others. 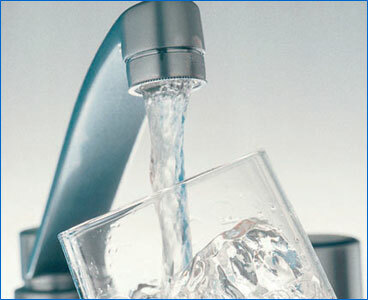 Check our water quality section for the most recent test results or call us directly at our office at (508) 839-2302. No, the District doesn't add fluoride to the water. The pH is kept at 7.2 - 7.5. Yes, the District adds chlorine but the levels are sometimes not detected because we add so little of it.